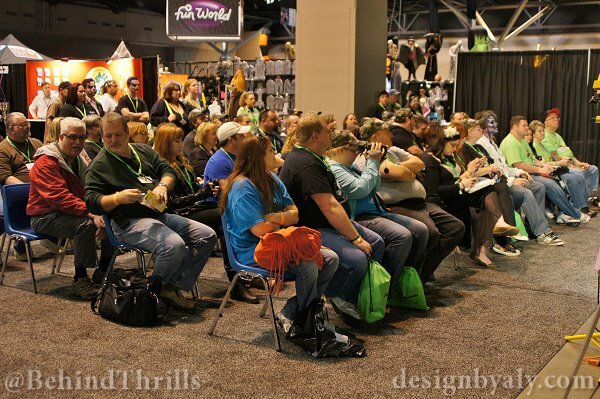 The Transworld Halloween and Attractions Show is the biggest trade show in the haunt industry. This is the one stop shop for every haunted attraction owner and operator in the world. Every March in St. Louis Missouri, vendors from all around the world bring their products to display and sell at this mega-show. Products sold at this show can be seen and experienced in haunted houses, theme parks, zoos, and museums around the world. One of the learning experiences offered at the HAA Show are all the educational seminars. Attendees have the option of attending over 100 different educational seminars. On Wednesday March 6, a full series of speed seminars are offered from 9am until 5pm. Industry experts will share their knowledge in 13 power-packed 30 minute seminars that focus on a precise subject. 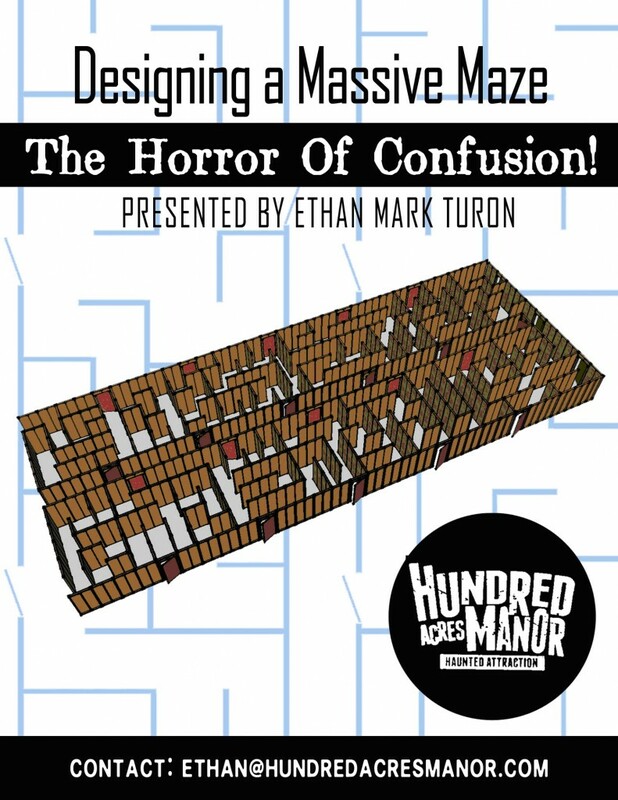 To get an idea of what to expect at one of these seminars, we had a chat with Ethan Turon from Hundred Acres Manor, who will be the speaker for one of the seminars titled; ‘Designing a Massive Maze: The Horror of Confusion’. Ethan discusses the knowledge you will obtain and the skills you will learn from that seminar in our interview below. $130 – includes all 13 Pre-Show speed seminars Wednesday March 6, and includes lunch. To purchase the speed seminars, you must be registered for the HAA Show, then you can click here to purchase the speed seminars. Other seminars are available all week long on various topics and can be purchased individually. Check the schedule below for more details. Previous PostTransformers Supply Vault opens at Universal Studios Florida plus meet and greets with Transformers Next PostPale Night Productions Plans To Shine With New Break-Through Technology!